9. On Tuesday, Queen Maxima of the Netherlands wore golden jewelry -- including her bamboo-style hoop earrings and her torc necklace -- for a visit to Philips' Innovation and Production Centre in Best. 8. 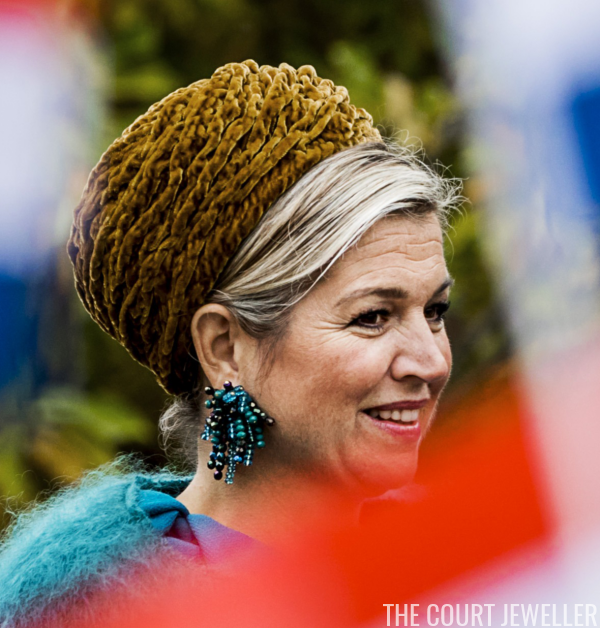 Maxima went, well, Full Maxima with a pair of beaded statement earrings for Thursday's visit to Almelo and Northeast Twente. 7. 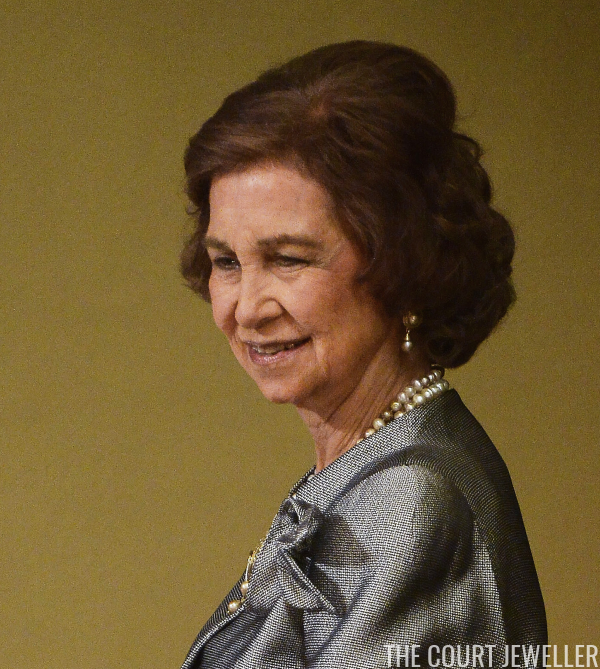 Queen Sofia of Spain was regal in pearls at the Princess of Asturias Awards in Oviedo on Friday. 6. 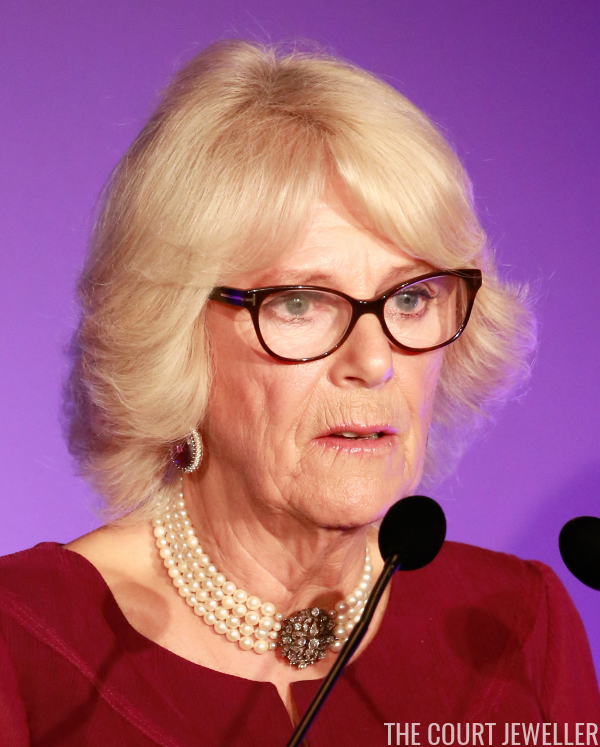 For Wednesday's 30th anniversary celebration of JDRF (a global charity focused on funding diabetes research), the Duchess of Cornwall wore pearl earrings and her pearl necklace with the elaborate Deco-style diamond and sapphire clasp. 5. 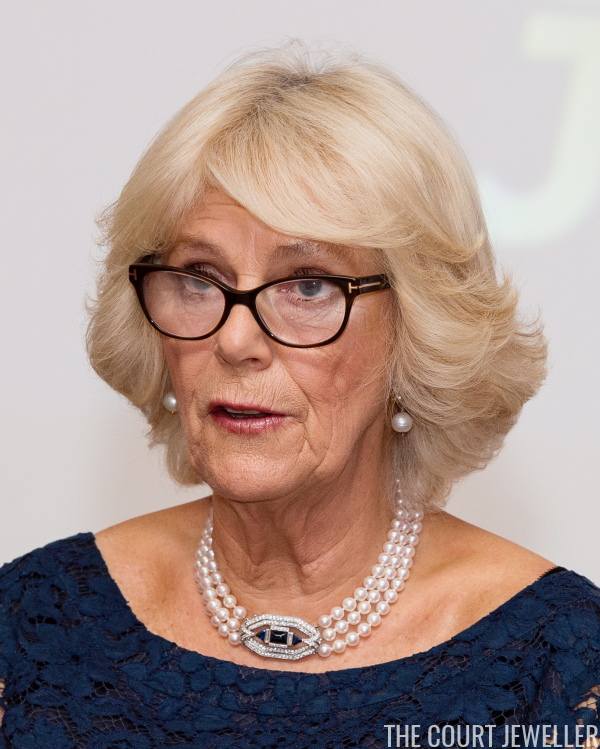 Camilla chose another of her pearl necklaces -- this time with the large diamond cross clasp -- to present this year's Man Booker Prize on Tuesday. 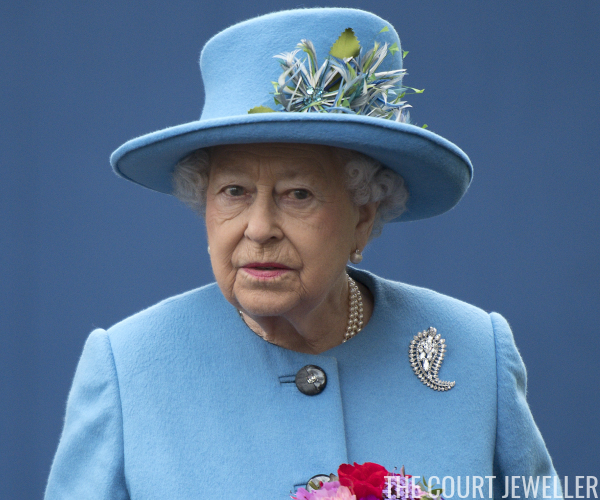 (She wore the same necklace with pearl earrings on Thursday's visit to Poundbury.) 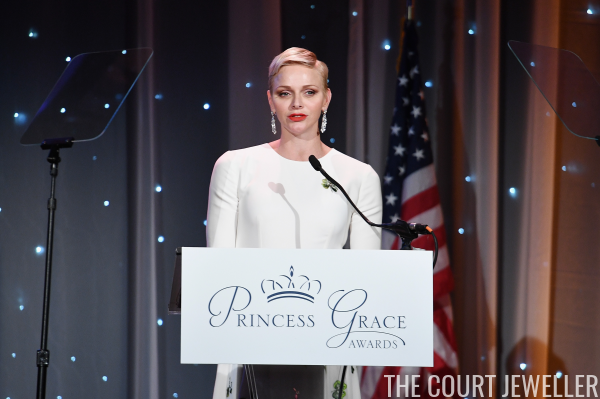 She also wore her gorgeous diamond and amethyst earrings. 4. For the Princess of Asturias Awards on Friday, Queen Letizia of Spain selected her black diamond earrings from De Grisogono. 1. 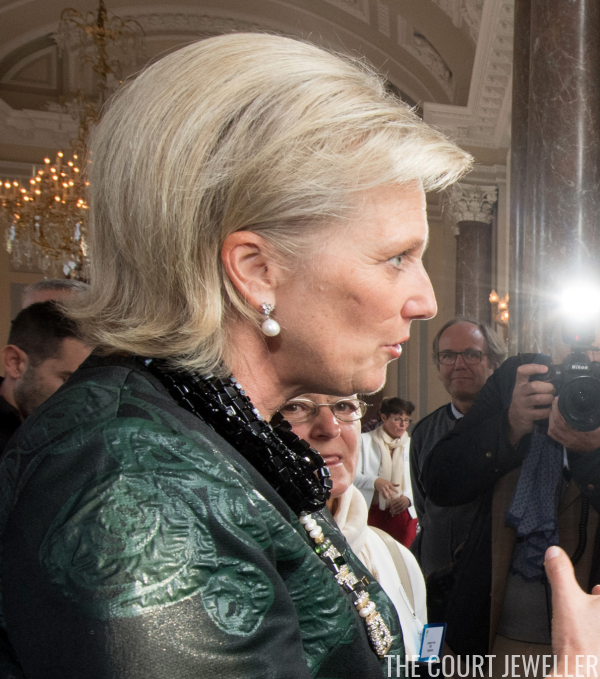 Norway's royal ladies collectively win this week's top spot for me. 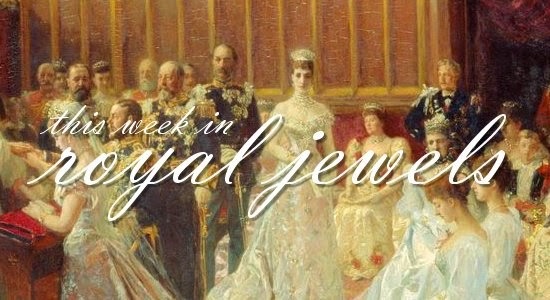 At a gala for members of parliament, Queen Sonja wore Queen Maud's Pearl Tiara and the Drapers' Company Brooch; Crown Princess Mette-Marit wore her diamond wedding tiara; and Princess Astrid wore Queen Alexandra's turquoises. Perfection!